After decades of near-nonexistence, Maryland-style rye whiskey is making a comeback, and bartenders and rye-drinkers around the country couldn’t be happier. When you picture the taste of rye, what you usually picture is the peppery, medicinal, or dry flavors of Pennsylvania- or New York-style ryes. In Maryland-style rye, those notes are overtaken by honey and herbs, resulting in a light and complex rye. It’s, pretty much, rye for drinking with a big ice cube. In other words, these characteristics make it a lot easier to drink -- regardless of if you’re sipping it straight, or mixing it in a cocktail. The flavor was a boon for the country’s whiskey drinkers, whose thirst was practically unquenchable. In 1912, Maryland was home to over 40 distilleries, which put out a total of 5.6 million gallons of whiskey from 1911 to 1912 alone. But there were bigger things happening in the country. 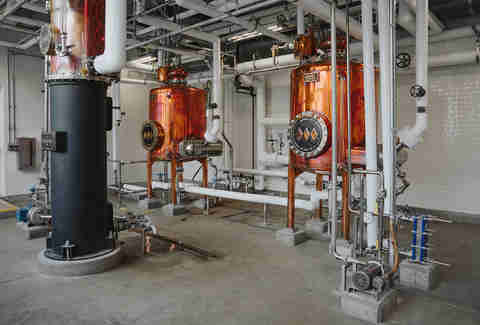 After Prohibition and World War II, when Maryland distilleries converted to ethanol plants to support the war effort, Maryland-style whiskey went extinct in the early 1970s, when the famed Pikesville Rye distillery finally closed its doors. Before the spirit category declined and deceased altogether, it was one of the oldest and most popular styles of whiskey in the colonial United States. Besides its Pennsylvania and New York brethren, Maryland was one of the biggest producers and most commonly consumed American whiskeys. Throughout the state, there were numerous iconic distilleries that produced this distinct style of whiskey, including brands like Hunter Rye and Melvale. It wasn’t until well after the rye whiskey revival in the early 2000s that Maryland started producing its own style of whiskey again. The desire for something besides big, brassy Pennsylvania ryes was one of the principal catalysts for the revival of the spirit, thanks to those sweeter, rounder notes characteristic of what came out of Maryland. 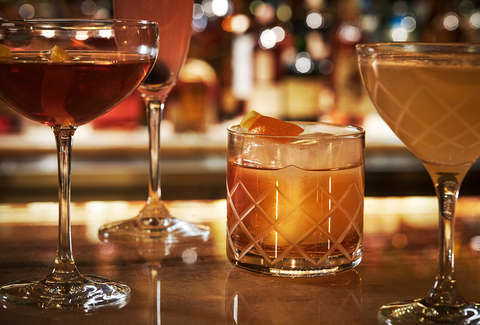 A thirst for rye whiskeys and rye whiskey-based cocktails in bars across the country further accelerated the rediscovery and desire to recreate the Maryland whiskeys of old. One of the first brands to develop its own signature style that aligned with the Maryland whiskeys of the past was Sagamore Spirit. Since they began production -- which started with contract-distilling rye from other distilleries while they distilled their own and let it age properly in barrels -- dozens of other distilleries have popped up throughout Maryland. Now there are over 20 different distilleries in the state making whiskey, according to Treacy -- 18 of which opened in the last five years, marking an encouraging return to Maryland’s glory days before World War II. While Sagamore Spirit adheres to the style of traditional Maryland ryes, their production methods are different from any other rye producers in Maryland. To understand how special their whiskey is, it’s important to understand the difference between how rye whiskeys are made and what makes Maryland ryes so special in the first place. Most American rye whiskey brands use only one mash bill regardless of where it’s made. That bill must consist of a majority percentage of rye grains. The remaining percentage can consist of either malted barley or any other cereal grain, and, by law, an American rye whiskey must have at the very least 51% rye grain in the mash bill. Pennsylvania and New York rye whiskeys generally adhere to a higher percentage of rye grains in their mash bill -- typically way more than 51% because, contrary to the law specified above, to be defined as a New York rye, the spirit must have 75% rye grain in its mash bill. Maryland ryes, however, add corn to their mash bills, not just cereal grains. This is what gives them such a unique and quaffable flavor profile. But Sagamore Spirit takes the Maryland style’s drinkability factors and turns them all the way up. To achieve this, Sagamore Spirit uses two distinctly different whiskeys with two distinctly different mash bills to achieve their incredibly complex flavor profile. Whiskey number one is composed of 95% rye and 5% malted barley. This is going to be what gives Sagamore Spirit its pepperiness and robust backbone. Whiskey number two is lighter, sweeter, and more bourbon-esque. It’s made almost like a high-rye bourbon (think Basil Hayden’s) and composed of 52% rye grain. The remaining percentage is a split of malted barley and corn. After being distilled, each spirit is aged separately for four to five years in new, charred American oak barrels. Then, after they’re aged, the two whiskeys are blended together. “Putting them together, you get the best of both worlds,” Treacy says. But the real, unreplicable ingredient in Sagamore Spirit's recipe is what makes it taste rich and pure. All Sagamore Spirit rye is made with spring water drawn from Sagamore Farm, a 30-minute drive north of Baltimore. To Treacy, the limestone-rich water is to his whiskey what New York’s water is to its bagels; it’s the element that makes it distinctly Maryland. In terms of how it actually tastes, it’s layered in a way that feels like the rye equivalent of Willy Wonka’s Everlasting Gobstopper: What starts with notes of apricots turns to white pepper, chocolate, malt, brown sugar, and lots of vanilla. According to Treacy, when someone encounters a Maryland rye for the first time, their typical response is about the drinkability, or about how, instead of a lot of pepper, you get a lot of fruit -- making it great in not just classic cocktails like Manhattans, but even tropical drinks like Mai Tais. 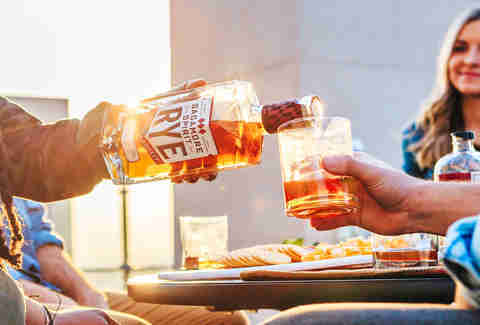 Now that Maryland ryes are in production again, and brands like Sagamore Spirit are giving credence to the style with their own diverse range of spirits, it’s inevitable that more and more people will become familiar with the category. “Everything is becoming more localized -- California and Oregon are known for their wine -- Kentucky for its bourbon,” Treacy says. “We think the same will happen to Maryland with its ryes.” Considering how tasty and versatile the Maryland ryes are, we truly can’t wait. Yes, Sagamore Spirit is great on its own. 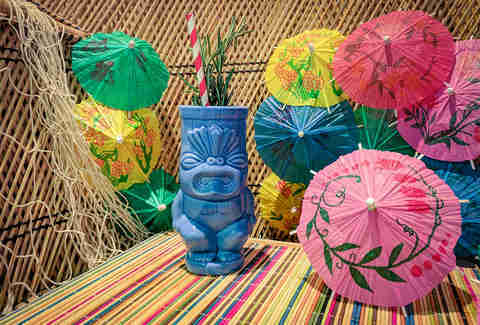 But if you want to see what it’s really capable of, try this tiki-inspired cocktail from The Woodstock in New York. Savor our spirit responsibly. Sagamore Whiskey, LLC, Baltimore, Maryland 21230. SAGAMORE SPIRIT™ Straight Rye Whiskey, 41.5% ABV (83 Proof).